SNEAK PEEK: Brit Marling : "The OA"
Brit Marling : "The OA"
Marling first gained recognition with the documentary "Boxers and Ballerinas" (2004) followed by the Searchlight features "Sound of My Voice" (2011), "Another Earth" (2011) and "The East" (2013) which she co-wrote in addition to playing the lead role. "...in 'The OA', 'Prairie Johnson' resurfaces after having been missing for seven years. 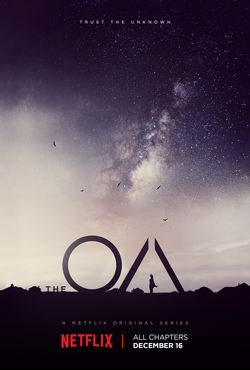 Prairie now calls herself "The OA" and can see, despite having been blind before her disappearance..."
Debuting December 2016, the series was quickly renewed for a second season that will air in 2017.